In the Philippines, Filipino is the language that everyone knows and uses. In fact Filipino subject is taught as part of the students curriculum that also includes in collegiate levels. For some learning Filipino is difficult,I might say partly. It's you eagerness to learn the language and apply it to your daily conversation. 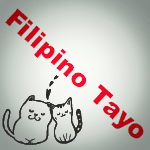 Find a group or partner maybe that you can practice with in speaking Filipino. For foreigners, it would be easy for you to learn this as long as you seek help, and every Pinoy or Filipino is willing to help you understand the culture of their language and the people. For Filipino students, I know that most of you knows how to speak Filipino but it is better to know more about it's grammar and advantage to our daily living. Good Luck with your learning journey and keep it in your heart and mind.